If you have ever had an ant problem, you know how quickly it can escalate. Think of the scenario: you spill a small amount of honey or sugar on the floor or work surface of your kitchen, you clean it up – but miss a bit – and within hours you’re in trouble, with a swarm of ants around! Spills like this can quickly attract hundreds, if not thousands, of ants who are happy to march into your home and feast on any unexpected offering. Clacton-on-Sea and other traditional seaside towns can be particularly prone to ants, with sweet treats and sticky drinks being readily available, such as candy floss, donuts, and ice-cream – all of which can all leave a sugary trail behind. All sorts of buildings can be prone to ant infestations including homes, offices, warehouses, supermarkets, hotels, bed & breakfasts and holiday cottages, which can be a real nuisance to occupiers and business owners alike. If you have an ant infestation, it is always best to call out the experts such as Essex and Suffolk Pest Solutions, as we can take away the worry and address the problem quickly and effectively. We deal with all sorts of pests including cockroaches, ants, mice, rats, pigeons, bed bugs, fleas and flies – and with years of experience behind us, we are used to all sorts of horrors, so there’s nothing we can’t tackle. As a leading pest control organisation in Essex and Suffolk, we have an excellent rating on Check-a-Trade, where we have more than 200 fantastic reviews, including from customers who have experienced problems with ants. After we attended both ant control and wasp nest removal callouts at the same address, one repeat customer, said: “I’ve always been happy with the service I have received.’ And we have many more customers who reflect these sentiments. Proportionately, in relation to their size, ants are known as the strongest creatures on the planet. An article in the Journal of Biomechanics revealed that researchers discovered a certain type of ant – The American Field Ant – can carry as much as 5,000 times its body weight. Why? Unlike humans, their hard external skeleton means their bodies don’t need so much support, leaving their muscles free to lift other things. Pretty much all the ants that you can see, either indoors or outdoors – including queen ants, worker ants and soldier ants – are female. This is not the case for the male ants, whose sole job is to help create ant eggs, and they die after fulfilling their role. However, some types of ants are asexual (which means they are both male and female) so this eliminates the need for male ants. Would you ever consider eating a bug? If you are an adventurous foodie and don’t feel put off by the experience, it is possible to be served an ant dish in a UK restaurant. The Wilderness in Birmingham has all sorts of bug delights on their food and drinks menu including a plate of (delicious, hmm) wood ants. They taste citrusy apparently. The UK is home around 50 or so different types of ants, with a higher concentration of separate species found in the south of the country; for instance, in areas such as Dorset, Devon, Kent and the Isle of Wight. This is mainly down to the higher summer soil temperature, as ants like warmth. Ants also certainly like the sweet stuff – but they don’t just feast on sugar. They are omnivores so they like a varied diet and they can eat other insects, fruits, vegetables, wood, and even pet food, although their food preferences depend on what species they are. Just like humans, they like sugar because it gives them an energy burst; they also need water to survive. Some species of ants can be dangerous. There is an ant species that has been identified as the having the most venomous sting in the world! The Maricopa harvester ant has a sting that can be compared to the sting of a dozen bees and the pain can last up to a whopping four hours. Fortunately, you can’t find these in the UK – they are native to Mexico and various southern states in the USA such as Arizona, Texas, New Mexico, California and Utah. There are also very few human fatalities that have been caused by this ant. Queen ants have a long lifespan. It has been known for at least one species of queen ant to live up to three decades. Generally queen ants in the UK live about 15 years, which makes them one of the longest living insects. 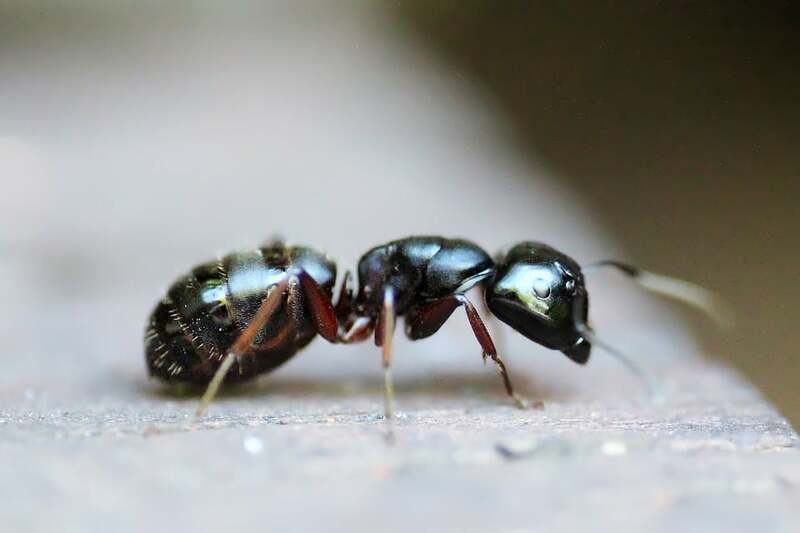 If you have an ant problem in the Clacton area, or anywhere else in the county, contact our friendly and efficient team at Essex and Suffolk Pest Solutions. We have a reputation for our prompt and efficient service for homes and businesses. Just click on the link above to contact us today.